There’s nothing worse than having to throw out food because it’s gone fuzzy or mushy. It’s even worse when it’s something that you purchased organic because that means you paid an even higher price for it. With proper food storage habits you can make sure that your food lasts as long as possible. you have a home garden and discovered the awesome power of a single zucchini seed. Whatever the reason for having a bountiful supply of fresh food (or even dairy, eggs, and foods of that nature which can also spoil), it’s important to know how long it can be stored for. It’s also a great idea to understand proper food storage. After all, knowing which things go in the refrigerator, what has to be wrapped, and the best way to wrap it, can be the difference between eating what you paid for or creating expensive compost. As you go through this infographic below keep in mind that there are a significant number of items which need to be purchased organically. One final note, I really don’t like to wrap food in plastic. Plastics, containers and wraps, are comprised of chemical compounds that are hormone disrupting. For more information about why plastic, and especially BPA, are harmful for you watch my interview with Lara Adler. For storage if you must wrap use plastic, place wax paper over the food first and then wrap over that. If at all possible try using glass or steel containers. The little county that could get CA to rethink methyl iodide – I’ve written about this before. Essentially CA agreed to let agricultural companies use a known carcinogen (so effective that it is used in laboratories to reliably cause cancer) on strawberry crops. In spite of massive protests CA went ahead and approved it anyway. Turns out the fight is still on. This gives me hope that this awful carcinogenic chemical will be banned. Until then I have essentially fought back the only way I know how. I purchase no strawberries from California at all, even the organic ones. Public Park Helps Feed 200,000 People Every Month – I love this. What a great solution to help feed those who are hungry and also make effective use of public lands. This ties in to a video I shared on my Facebook Page about Suburban Homesteading/Urban Victory Gardening. Looking at the info I see it’s the same guy, John from Growing Your Greens. I’ve subscribed to his YouTube channel and am looking forward to more good info. Low Vitamin D Ups Diabetes Risk in Kids – One more reason to check your vitamin D levels. I think sometimes people tune out the vitamin D message believing that they are getting enough from their milk. Sadly that’s often not enough, especially if you are drinking skim milk. Vitamin D is important for so many different reasons and across different populations. Are you over 65? 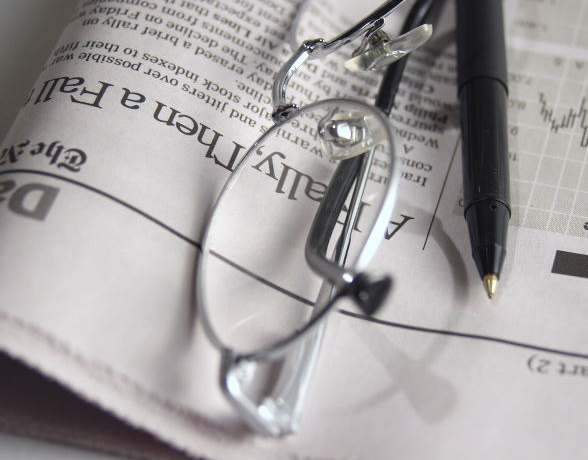 Check your vitamin D. Is it wintertime and you live in a Northern latitude? etcetera etcetera etcetera. Check your vitamin D. I’m not saying everyone needs to supplement, but it’s easy to check and if you are low you probably do need to supplement. Always get the 25 hydroxy test rather than the 1,25 dihydroxy – it’s a better indicator of your vitamin D status. Apple Juice Made In America? Think Again – This one surprised me. Because I know we have so many apple orchards in the US I just assumed that our apple juice was made here. Turns out it’s not. Given that so many children drink it (and the recent fungicide contamination of orange juice) I’m even more convinced that getting our food from abroad is not necessarily a good idea. I believe the best thing is to get to know your farmer, buy locally, and grow your own. I’m blown away by the idea that apples which are grown in China can be juice and fossil fuels expended to bring a liquid product (very heavy) all the way around the world to us, and somehow it’s cheaper. There is something very very wrong with that equation. Programmed To Be Fat? – This looks like a fascinating program and I am going to try to see if I can borrow a copy through my local library. Given the increasing number of obesogens in our environment (I wrote an article some time back called Is Your Plastic Making You Fat?) and the rising toxicity levels for newborns this is an issue that really needs to be looked at and worked on. We are poisoning ourselves, our environment and destroying our future. Goats being used, instead of pesticides in Eastham – I love this. What a great way to solve a problem. Instead of throwing chemicals at the issue of weeds, use goats. The goats are happy, they get fed, the town gets less toxic chemicals in their environment, the residents have less exposure and, presumably, less potential for illness. QuantumVegan just harvested about fifty pounds of tomatoes. That’s a LOT of tomatoes. When we lived in Vermont that kind of a harvest was sure to mean we were getting green tomatoes. The growing season is so short there tomatoes don’t always have time to ripen. So you come up with lots of good ways to use green tomatoes. There’s green tomato pie, green tomato salsa, the ubiquitous fried green tomatoes and more. Luckily green tomatoes have lots of nutrition, as I posted before, including lycopene. If you’re getting close to the end of your growing season and you’re looking at a large crop of green tomatoes, here’s my favorite way to use them up; green tomato chutney. It goes very well with cheese and crackers, it is excellent with cold roast meats, delicious as a side to a spicy vegetarian lentil dish, it’s very versatile condiment to have in your pantry. In a large stock pot mix together tomatoes, apples, onions, raisins, garlic, cane juice crystals, salt, and vinegar. Continue to boil for approximately 30 minutes continuing to stir frequently. The fruits will begin to soften and meld together. Boil for another 10-15 minutes until you reach the consistency you want. Ladle into hot sterile jars and seal according to directions. Bath for 10 minutes remove and let cool. This recipe needs to settle to allow all of the flavors to come together. Let it sit in a cool dark space for at least a month before opening. Recently it has come to my attention that the State of California has approved methyl iodide for use as a pesticide on strawberry crops. Methyl iodide is a potent carcinogen, it is used to induce cancer in lab animals because it is so effective. Back in 2007 dozens of well respected scientists (many of them Nobel winning scientists) urged the EPA to ban this substance because it was such a dangerous chemical. I find it disturbing and appalling that any organization, governmental or otherwise, would knowingly approve use of a substance virtually guaranteed to cause cancer in consumers. I plan to watch this issue closely and, if methyl oxide is approved, will no longer be eating strawberries from California. I will then be watching further to see if they approve it for other crops which I will then also no longer eat. The State is now seeking public comment on the issue before they implement it, you have until June 14th to let them know how you feel. Please take a moment to stand up for your rights as consumers to non-carcinogenic foods. With the fall season fast approaching root crops are coming into season. 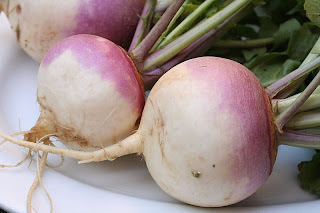 Turnips are a great root vegetable and can be very versatile in the kitchen. Turnips are a member of the brassica family which means they are related to cabbage, cauliflower, broccoli, brussels sprouts and others. Although there is an old fashioned tradition of cutting turnips into jack-o-lanterns for Halloween, I think they are far to tasty to be put to this use; far better to eat them. One of the wonderful things about turnips is that you not only eat the root, but also the greens. The root is a great source of fiber, calcium, potassium and is an excellent source of vitamin C. Turnip greens are high in fiber, folate, iron, vitamin C, and calcium. They are also an excellent source of manganese (an antioxidant which is important for bone health and digestion), vitamin K (important for bone health and coagulation of the blood), and Vitamin A (an antioxidant which contributes to eyesight, tissue and skin health and may help lower your risk for cancer). So all around they are an excellent choice to have in your Fall/Winter pantry. To take advantage of all of that nutritional goodness, turnips can be cooked in a variety of ways: sauteed, mashed, baked, boiled, the list goes on. My very favorite cookbook for greens is “Greene on Greens” by the late Bert Greene who was a Food Columnist for The New York Daily News. In it he writes about the tonic power of turnip greens,” It must have had some therapeutic effect, for turnip foliage was brewed into potions, restoratives, and pick-me-ps from the sixteenth to the nineteenth century with vary report of it’s good pharmacy. Even today in the deep South, a cup of turnip green “pot likker” is still reputed to be the best cure for hangover ever invented.” While I’ve never tried pot likker as a cure for hangover I do know that when I get turnips I like to use the greens to add extra flavor, texture and nutrition to whatever I am making. As the weather gets cooler, soup becomes a weekly item on our family menu. Warm and comforting, it’s an easy meal and a great way to use turnips and their greens together. This recipe is based on Bert Greene’s Mixed Turnip Chowder. I simply substituted a leek for the onion, added turnip greens and a couple of cloves of garlic. If you can’t get rutabagas you can increase the turnips and potatoes to make up for them. …and there is nothing more wonderful than having fresh blueberries to eat. Just by themselves they are a wonderful snack. In a fruit salad they are delicious. Baked into a myriad of treats such as muffins, cobblers and pies they are indescribably delicious. Recently I went with some friends to a local pick-your-own place where there were over 5 miles of blueberry bushes. The berries were plump, juicy and very flavorful. With three adults and four kids the picking went fairly quickly and everyone came home with a quite a few berries. Blueberries freeze quite well if you want to save some for later. There’s nothing quite like blueberry pancakes in the middle of winter from blueberries that you picked fresh during the summer. Blueberries are native to North America and related to cranberries, another distinctive North American fruit. They are high in antioxidants; anthocyanin which is beneficial for collagen especially as it relates to capillary and vascular support, and ellagic acid which is helpful in protecting against cancer. 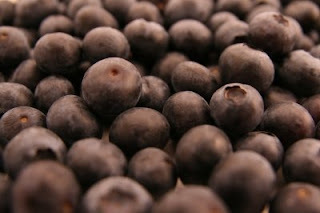 Blueberries are also rich in vitamin C, manganese and are a good source of fiber. Studies show them to be effective in helping to protect against Age Related Macular Degeneration (ARMD), colon cancer, and ovarian cancer. One of my favorite ways to eat them is in pancakes, simply take your favorite pancake recipe and add blueberries to the batter after it has been put into the pan. Another favorite is blueberry muffins. A quick search of the internet will reveal plenty of recipes that call for fresh blueberries but here is my muffin recipe which is always a hit at our house. If you live locally in the Houston area, here’s a link to an article about the farm I visited to get my blueberries.